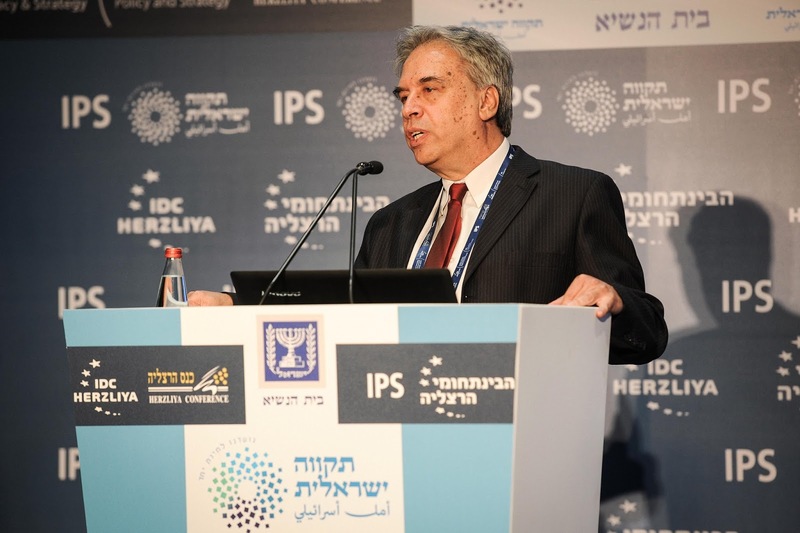 Professor Alex Mintz, director of the Institute for Policy and Strategy (IPS), chair of the Annual Herzliya Conference Series and Dean of the Lauder School of Government, Diplomacy and Strategy at IDC Herzliya. A newly-released poll of Iranian public opinion on the country's nuclear program and ongoing multilateral negotiations, the effect of sanctions and future relations with the United States and Israel is being hailed in numerous press reports for providing "unusual," "surprising" and "rarely-seen" insight into the attitudes of ordinary Iranians. The survey found, for instance, that 40% of Iranians polled would be willing to give up the hypothetical ability of Iran "to produce nuclear weapons in the future" in exchange for the "full removal of sanctions" and that 38% of the Iranian public would support recognizing Israel, "if Israel signs a peace treaty with the Palestinians and withdraws from Palestinian areas." Researchers also revealed that over 74% of respondents favored the reestablishment of full trade and diplomatic relations with the U.S.
"Such delicate issues are not ordinarily broached by pollsters in Iran, according to experts," writes Jerusalem-based New York Times correspondent Isabel Kershner. But here's the thing: the "experts" Kershner spoke to (whose identify she never reveals) are wrong. Not only are these types of issues routinely addressed in polls of Iranian public opinion, but the many of the answers provided in this latest poll are largely consistent with other similar, and even more professional and methodologically sound, surveys conducted in recent years. A year ago, for instance, Gallup reported that 41% of Iranian adults would openly disapprove of their government "developing its own nuclear power capabilities for military use." Another Gallup survey from the previous winter showed that, regardless of sanctions, at least 63% of respondents thought Iran should continue to develop its safeguarded, civilian nuclear program. A 2011 poll by Terror Free Tomorrow: The Center for Public Opinion, a nonprofit research institute, found that "more than 70 percent of Iranians also expressed support for providing full access to weapons inspectors and a guarantee that Iran will not develop or possess nuclear weapons, in return for outside aid and investment," while "77 percent of Iranians favored normal relations and trade with the United States." These findings were consistent with other polls the center had conducted over the previous two years. Polls in both 2009 and 2012 found similarly overwhelming support (over 85%) for Iran's right to a domestic nuclear energy program, while majorities consistently oppose pursuing atomic weapons. The International Peace Institute, in collaboration with Charney Research, found in 2010 that 58% of Iranians would accept a two-state accord between Palestinians and Israelis. A Terror Free Tomorrow poll from as far back as 2007 similarly revealed that 68% of Iranians favored normal relations and trade with the United States. "In return for normal relations," the report found, "a majority [55%] of Iranians favor recognizing Israel and Palestine as independent states, ending Iranian support for any armed groups inside Iraq, and full transparency by Iran to the United States to ensure there are no Iranian endeavors to develop nuclear weapons." The same survey concluded that "80% of Iranians favor Iran providing full inspections and a guarantee not to develop or possess nuclear weapons in return for outside aid." Clearly, the results of the new poll are, in fact, nothing new. Nevertheless, the poll's own researchers have express amazement at what should be mundane conclusions. For example, in noting that nearly 40% of respondents would effectively support a two-state solution in Israel/Palestine, provided a peace accord is agreed on and Israel ends its occupation in the West Bank and Gaza, the pollsters express bewilderment. "This finding is sensational and counter intuitive," the executive summary declares, "given the Iranian leadership's position on Israel during Ahmadinejad's regime." Again, as seen above, the Iranian public has expressed similar feelings in the past. Furthermore, the Iranian government's official position on Israel and Palestine is far less bellicose than endless alarmist news report and shrill political speeches would have us believe. Iran officially supports a referendum to determine the nature of the government controlling the lives to those who live in Israel and Palestine. Ahmadinejad himself repeated this position in numerous interviews during his tenure as president. In 2006, Ahmadinejad told The Washington Post's Lally Weymouth, "Our suggestion is very clear: Let the Palestinian people decide their fate in a free and fair referendum, and the result, whatever it is, should be accepted." The next year, he reiterated on CBS News, "Whatever decision they take, everyone should go with that," and at Columbia University, "Whatever they choose as a nation, everybody should accept and respect." Whatever decision they take is fine with us. We are not going to determine anything. Whatever decision they take, we will support that. We think that this is the right of the Palestinian people, however we fully expect other states to do so as well. The U.S. administration, European governments. The right to determine their fate by the Palestinians should be respected by all of them. As pointed out above, in return for the full removal of sanctions, 40 percent of Iranians are willing to give up the ability of Iran to produce nuclear weapons in the future, in addition to 9 percent who agree to give up the civilian component of the nuclear program, and 5 percent who are willing to give up the entire nuclear program. In other words, 45 percent, are now willing to give up their nuclear military program for the full removal of sanctions, and a majority of Iranians-- more than 54 percent, agree to give up the entire nuclear program, or the civilian component of it, or the ability to produce nuclear military weapons in the future. What this analysis, if it can even be called that, misses is that Iran has no "nuclear military program" to "give up." It seems as if the researchers conducting this poll are unaware that international intelligence assessments have consistently affirmed that Iran has no nuclear weapons program and that no move to divert nuclear material to military or weaponization purposes has ever been detected. This is consistently affirmed by U.S., British, Russian, and even Israeli intelligence, as well as the International Atomic Energy Agency (IAEA). In fact, the IAEA itself has said there is "no concrete proof" Iran's nuclear program "has ever had" a military component. Also, the Iranian government has consistently and constantly maintained that it has no interest or intention to acquire, let alone stockpile, nuclear weapons. Not only this, but the Iranian leadership has, for more than three decades, forbidden the building of nukes on religious, moral, strategic and legal grounds. Considering Iranians know that their nation's nuclear program is peaceful and will never be used to produce nuclear weapons, the polling question itself winds up being fundamentally flawed ("would you give up something you're not doing to have all sanctions removed? "), and the responses therefore pretty meaningless ("uh, sure"). In fact, the full results for this question, noted in the poll's executive summary, provide a far more telling Iranian perspective than what led most articles. A mere five percent of those polled said they'd give up the entire nuclear program in return for the complete removal of sanctions against Iran, and only 9.1% said they'd give up "the civilian part of the program," which is the entire program. As the researchers themselves are forced to admit, "Little support is provided to give up the civilian part of this program. Less than 1 in 10 supports such a move." Basically, a measly 14% of respondents said they'd give up Iran's actual nuclear program - not some phantom weapons program sometime down the line. That's hardly headline-worthy. On the other hand, a whopping 45.7% of respondents replied that they were "not willing to give up any part of the nuclear program," regardless of what sanctions are imposed. This finding was buried in reports on the poll. It appears that those shocked by the results of the latest poll are merely unfamiliar with past surveys of Iranian opinions, as well as long-standing Iranian government policy. This is perhaps to be expected considering who conducted the poll itself and who has been most interested in reporting its results. The nine-question poll, conducted by telephone between May and June 2014 with fewer than 530 respondents, was carried out by six Iranian-born, Farsi-speaking researchers at the Institute for Policy and Strategy (IPS) at the Interdisciplinary Center (IDC) in Herzliya, Israel, a private university in a coastal town north of Tel Aviv. The project was led by the institute's dean, Professor Alex Mintz, and Eli Mograbi, an MA student at the Lauder School of Government at the IDC. 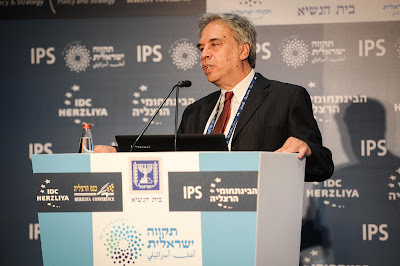 The IDC has close connections with the Israeli intelligence and military communities, and hosts the influential annual Herzliya Security Conference on national security, intelligence, military and strategic affairs. The conference is sponsored by the Institute for Policy and Strategy itself. The findings have been widely reported by Israel-based outlets like The Times of Israel, Ynet and the settler-run Arutz Sheva. These reports, along with Kershner's New York Times piece, all express astonishment at the findings, despite their consistency with past polling. "He said he would present himself as working on behalf of the research institute, whose name is similar to one in Tehran. Some seemed surprised at the questions, he said, and asked if the pollsters had permission to conduct the survey. “To some, we gave a false number in Tehran and said they could call back if they wanted, to build trust,” he said. Few said they would. Yes, you read that right. To "build trust," the Israeli poll operatives deliberately hide their identities from their subjects, gave fake corroborating information to cover their tracks and even pretended they were fellow citizens. "We said we were calling from a research center,” Professor Mintz told Kershner. "Most didn't ask for details. To those who did, we said an institute for policy and strategy. Nobody imagined we were phoning from Israel." The survey appears to bear more resemblance to a mediocre covert intelligence gathering operation than a legitimate academic research project. It even appears that no margin of error was established. As independent analyst and commentator Richard Silverstein, who first pointed out the many dubious aspects of the polling project, has put it, "No legitimate polling outfit in the U.S. either private or academic would associate themselves with such fraudulent methods." Perhaps the shoddiness of the survey should be expected considering that none other than Meir Javedanfar served as an advisor on the project. Javedanfar, a lecturer at Herzliya's IDC whose consistently misinformed, misguided and misleading analysis has never impacted his ubiquity in media reports on Iran, is noted in the survey's press release as having been consulted on the wording of the specific questions to be asked. In her own Times report, Kershner hid his identity from readers, writing only that "[t]he survey was formulated and translated into Farsi with the help of an Iran expert who made adjustments to make the questions palatable to Iranian ears." It was Silverstein who immediately deduced who the "expert" really was. Do you agree that our country should establish full trade and diplomatic relations with the U.S.? Do you agree that our country should recognize Israel if it reaches a peace deal with the Palestinians? Who is our biggest ally in the middle east [sic]? Who is our biggest enemy? The poll-takers continue their deception by invoking the pronoun "our" as if they are Iranians polling Iranians, which they aren't. Further, if you look at the phrasing of the first two questions you'll notice the phrase "do you agree that…" This is an improper way to formulate a poll question unless you want to guarantee a certain result. Asking someone if they agree with a statement you make is a dead-giveaway that yourself believe the statement and by inference, you wish them to agree with you. The integrity of such a survey should be immediately questioned. Furthermore, in a perfect example of his own hypocrisy, Javedanfar is on record questioning the findings of a 2013 Gallup public opinion poll when the responses provided by Iranians appeared to support longstanding government policy. In a February 12, 2013 post on his website, Javedanfar notes that Gallup "found that 63% of Iranian [sic] believe that the nuclear program should continue despite the sanctions." He goes on to raise a virtual eyebrow, writing that while "Gallup is a very credible organization" and he's "sure they did a professional job," he believes "it's a credible question to ask whether those questioned in Iran could say what they really thought." The notion that Iranian public opinion polls can't possibly be accurate (if they defy Western expectations or wishes) is a tired trope in foreign policy circles. The common refrain is that Iranians are too scared of their own government to provide honest answers over the phone to a pollster. Yet this claim has long been challenged by experienced and professional pollsters who maintain that if the methodology is sound and scientific, the results will be accurate - in Iran or anywhere else. As two researchers pointed out in the Washington Post in 2009, "[T]he integrity of our results is confirmed by the politically risky responses Iranians were willing to give to a host of questions." Even an 2003 analysis by the conservative and AIPAC-aligned Washington Institute for Near East Policy argued for the legitimacy of scientific polling in Iran. In fact, Iranians are known to far more forthcoming with their political views to foreigners - pollsters, journalists, tourists - than many others in the region. Now imagine some unknown person calls you in your house. Someone who knows who you are because they have your number but you don't know who they are. They say they are calling to survey your opinion from Gallup, but they could be anybody. They could be the Ministry of Intelligence or IRGC intelligence organization as well. How are you supposed to know? How willing would you be to tell this unknown person that you contradict what is essentially current government policy? Apparently, only a year later, Javedanfar stopped worrying about these questions and worked on a survey of his own that deliberately deceived its subjects. Does he still think, as he wrote last year, that "there is reason to questions [sic] the accuracy of the findings of this poll based on the fact that those questioned have genuine reason to fear the possible implications of saying what they really think"? Does he believe the IDC poll he helped to create should be automatically dismissed? 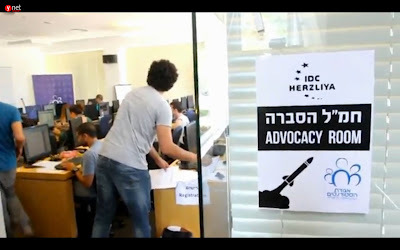 Unlike many well-regarded international polling agencies and research organizations, the institution he works for - the IDC Herzliya - is directly involved with Israeli intelligence operations, is home to a hasbara war room dedicated to spreading pro-Israeli propaganda over the internet, the existence of which was recently revealed by Israeli media. IDC Herzliya's Hasbara War Room during Israel's bombardment of Gaza in July 2014. It is also no secret that Israeli military intelligence units are actively and eagerly courting Farsi speakers. Earlier this year, Reuters reported that "Iranian-born immigrants to Israel are drafted to its military intelligence units in disproportionately large numbers," and that these "efforts, security sources say, have been stepped up since world powers and Tehran agreed an interim nuclear deal in November." "Bringing Iranian natives with a command of Farsi into the intelligence corps is a priority," said an Israeli immigration organizer. Clearly, IDC's Professor Mintz is aware of how this all might look. "This is not about spying or anything," he told Kershner. "We are a research center. We wanted to know what the Iranians think."